Time is Money: Should You DIY or Hire a Pool Maintenance Service? Pools, like many things worth having, require some basic attention and have costs measured in time and money. Before building a pool, it’s a good idea to think about how you plan to spend your time and money on maintenance – this exercise can help inform your building plan and ensure that you protect the investment in your property for years to come. There are advantages and disadvantages to either decision, but knowing a bit about DIY pool maintenance and professional maintenance services can help you make the best choice for your household. All pools need chemical balancing, equipment checks, routine cleaning, and occasional minor repair work (think cracked plastic skimmer basket at the end of the season). Someone, you or a professional, needs to get out there every week to stay on top of the pool’s condition and make adjustments when necessary. Regular maintenance is essential to prolong the life of your pool’s surfaces and equipment. There’s no avoiding it – pool maintenance requires some time, some money, and some attention. The good news is there’s more than one way to keep your pool clean and sparkling. You know yourself, how you want to spend your time and money, and what you’re willing to DIY or hire out. 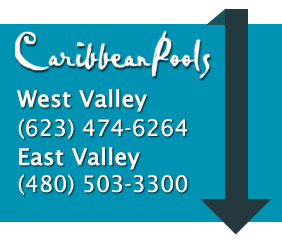 Whatever you decide, Caribbean Pools & Spas wishes you a long and clean swimming season.